The City of Kettering is committed to working locally to improve the social, economical and environmental well being of our community. As part of this commitment, the City has formed KetterGreen, a committee that helps promote and organize environmental events within the City facilities as well as the community. Events KetterGreen has hosted or organized over the last year are prescription drug drop offs to prevent these medications from going down our streams, hazardous household waste drop off, and document shredding. In addition to these events, KetterGreen has successfully implemented a better recycling program within city owned facilities and new recycling bins throughout our great parks. There are many more event that are being planned so we encourage you stop back at this page to get the latest news. The City invites you to visit the Habitat Environmental Center located at 3036 Bellflower Street, Kettering, Ohio. This is where many of the City’s environmental classes will take place. Check out the great new playground and walking trails around the Center. We offer this event free to Kettering residents once each year thanks to the support of sponsor DayAir Credit Union. We will accept household shredding, no commercial or business shredding please. You do not need to get out of your car. 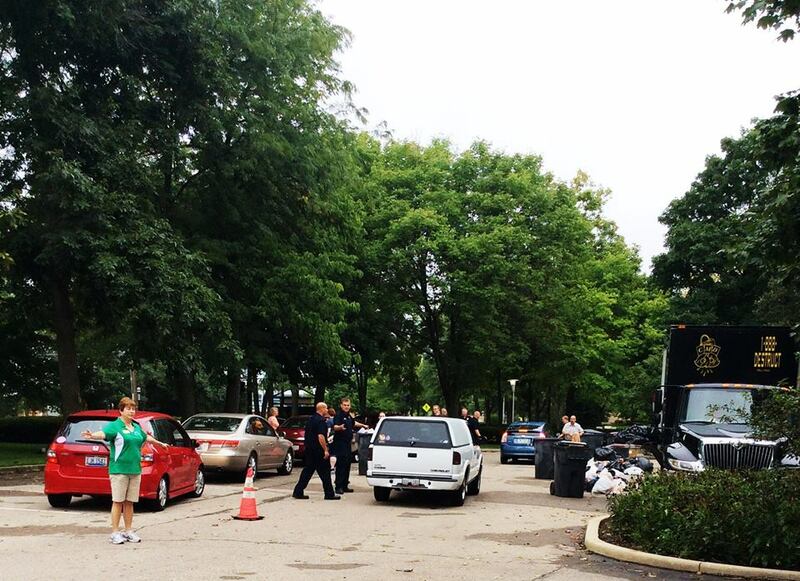 Members of our Kettering Fire Department and other City staff will be on hand to remove items for shredding for you. This keeps our line moving swiftly. Please bring papers to be shredded in cardboard boxes or other containers. Please do not place papers in trash bags or other plastic bags. The line is the longest right at the beginning of the event. Often by mid-way through the event there is little to no line.